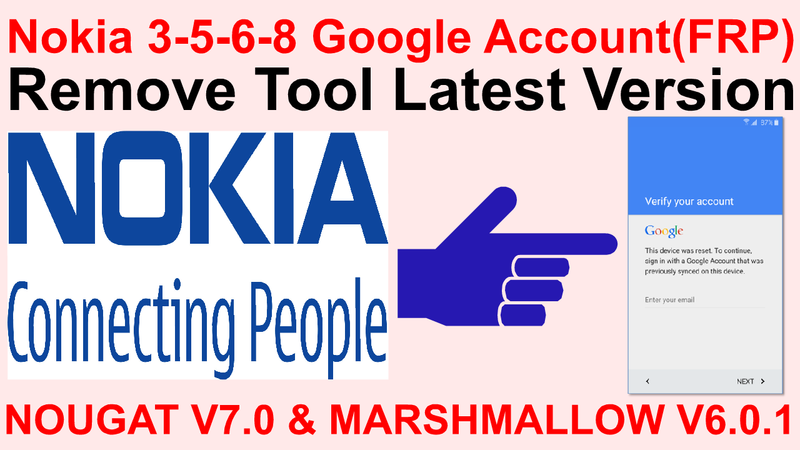 Nokia 3-5-6-8 Google Account(FRP)Remove Tool Latest. This process helps to remove FRP in Nokia latest build with Android platform.This application remove google account lock/frp by easy ways just follow the tutorial below and download below app. 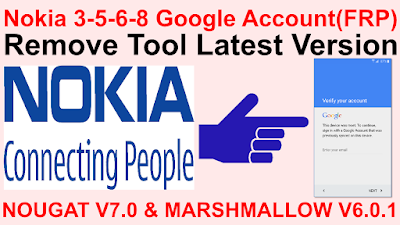 Nokia 3-5-6-8 Google Account(FRP) Remove Required. 1# Download Frp Remove Tool Command. Follow The Instructions To Remove Nokia Frp. 1# You will see startup menu go next connect wifi. Choose>Talkback>see right side settings open. 3# Scroll download>help&feedback open that. 4# See there search icon Type Voice. 5# Now you will need to choose 1st options of the results of voice. 6# You will get video play that after click share icon of video. 7# Choose 3: dots you will now lunch to Youtube app now. 9# Now download these apex launcher. Just go to dialer and dial these codes *#*#372733#*#*. 11# Now it will brings you in test mode connect usb after its gives you pop-uo showing test passed do not touch any options just use any script to bypass frp or just download below zip fipe extract it and run frp bat you will donw easily yourself- now or use any tool because your adb is already turn on. 12# After your devices driver installed success in PC allow USB yes and continue to bypass Frp after successful of your command. 13# NOW YOUR PHONE NOKIA FRP REMOVE COMPLITE.